What’s the connection between Koch Industries and pink ribbon stethoscopes? Why are pink ribbon products failing to end the breast cancer epidemic? 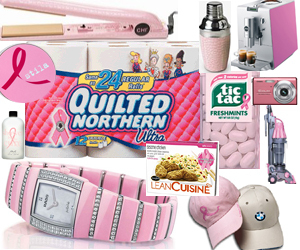 How is corporate influence infiltrating the breast cancer movement? You’ll be shocked when you find out. Join me and other pink ribbon-fatigued activists on our next free community webinar and learn how corporate pinkwashers are laundering their toxic products though pink ribbon marketing campaigns. I’m hosting this important webinar with my friend and colleague, Angela Wall, Breast Cancer Action’s Communication Director, and I sure hope you can join us. RSVP for the free webinar today: Wednesday, October 16th at 10am PST/1pm EST or Thursday, October 17th at 2pm PST/5pm EST. Join us to build a movement to stop cancer before it starts and stop pinkwashing once and for all. Click on the date above to register for the time and day that works for you.